Sandy studied Art and Design at Hull College of Art as a mature student. She specialised in Fine Art, graduating in 1982 with a BA Honours. She has shown widely and She was also a lecturer on the foundation course at the Polytechnic. She has a nationally recognised reputation for running workshops and residences of all types and locations. 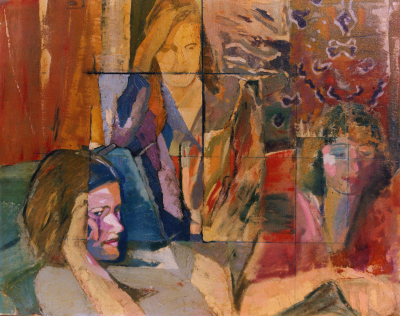 Since her retirement from teaching she has concentrated on her own painting, which relates strongly to family themesInspired by 19 th century Impressionist painters such as Edouard Manet and Edgar Degas, Sandy's subjects are explored using intense colour relationships and imaginative compositions and often point to what is going on outside a picture frame as well as within.